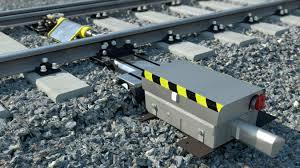 An electrical point machine is an electrically driven motor used for operation of points in railway yards. The rotary motion of the motor is transmitted through the reduction gears and transmission assembly and converted through linear movement of a toothed rack through a pinion. The gear rack drives switch rails to unlock, change the position from N to R or R to N and lock the switch at the end of the stroke. 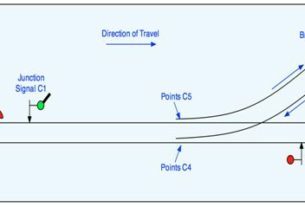 Sequence of point machine operation. * Opening of the detection contacts. * Close the detection contacts. * Low voltage .DC supplies – 24 volt DC. * High voltage DC supplies -110V DC. * High voltage AC – 380 AC. The point machines have split series field windings. * Rated voltage – 110V DC. * Working current – 4-6 Amps. 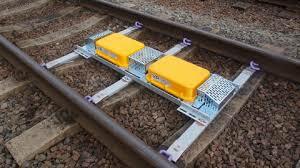 * Obstruction (slipping current) – 6-7 Amps. * Operating Time – 3 sec. * Spring loaded friction clutch. * To avoid voltage drop in cable cross section. * Contact of lever /knob/push button do not have the heavy duty current carrying capacity. 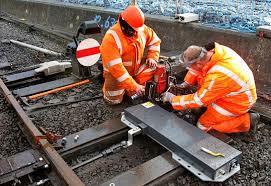 * Track locking is to be provided to prevent point operation under wheels. * Point machine should be protected from over load. * Facility for sequential operation should be provided. 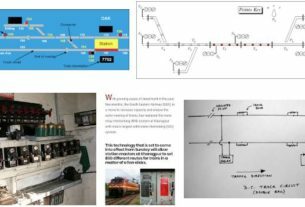 Two types of relay control units are standardized. * Siemens point contactor unit. * Point contactor unit with QBCA relays.